The Disclosure Project UFO's -The Puppet Masters Revealed! Healthy Secrets... They Don't Want You To Know About! Deep discount - Save $30 and get free shipping on Dual Action Cleanse! What if the men in black are real? What if president G. W. Bush is part of a vast conspiracy and what does his father know about the secret government that he refuses to divulge? What exactly is the the agenda of the multi-trillion dollar sick buggers of the military industrial complex (the puppet masters) and how do they hide the funding of their secret government black-ops projects?. 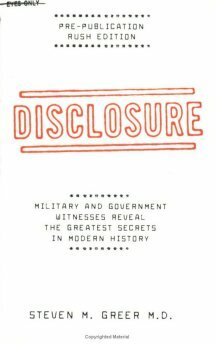 Interestingly over five dozen secret military, government, intelligence and corporate witnesses tell their true stories which disclose the greatest hidden covert programs in world history. This amazing testimony by actual government insiders proves that UFOs are real, that some are of extraterrestrial origin and that secret programs have energy and propulsion systems and technologies that could enable humanity to solve pollution, poverty and be a civilization capable of traveling among the stars. These secret projects contain the a solution to the world energy crisis, the environmental crisis and world poverty. Want to talk about an organized crime mafia war racket? You may still not believe it after you read this book. Find out what John F. Kennedy and his brother Bobby found out. Be careful that you don't end up like they did! Who is the Military Industrial Complex composed of? Along with a select few in secret government agencies it is composed of many thousands of interlocking corporations of which about one hundred mainly run the show. Who do you think are the masterminds behind the medical pharmaceutical money making industry: Medical-Pharmaceutical Industrial Complex?. They have a very real interest in keeping you buying their products. You will be continually buying their symptom hiding drugs and perverted products till the day you die. UNLESS YOU WAKE UP! The world's greatest traditional and alternative doctors join forces at last... and their findings could extend your life by 40 wonderful, healthy years. Can't find what you are looking for? Try our site map. HealthySecrets.com supports the Peaceful Solution Character Education Program. We teach reading, writing, and arithmetic... why not positive character traits and peaceful conflict resolution?